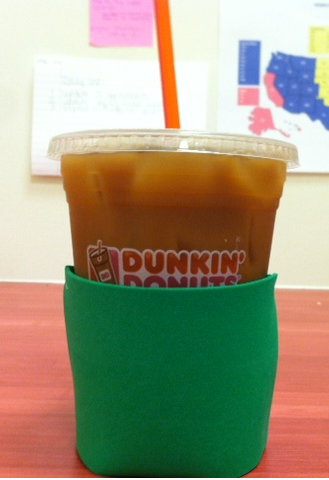 Keep your DD Iced Coffee Cozy with a St. Paddy's Day Koozie! We know that many people love to celebrate St. Patrick's Day with festive glasses, shiny green necklaces, and leprechaun beards. 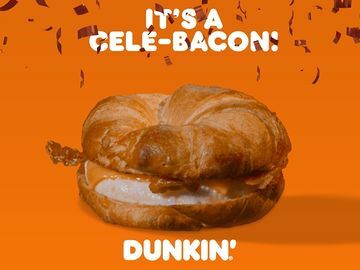 This year, think about DDressing up your Dunkin’ Donuts iced coffee as well! 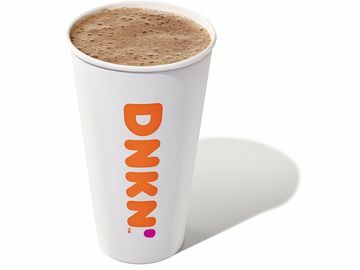 Available in participating markets, Dunkin' Donuts Irish Creme iced coffee is the perfect treat to enjoy during your local St. Patrick’s Day parade or Irish music festival. We are here to help you clothe the cup for the occasion with a three-step DIY foam koozie! 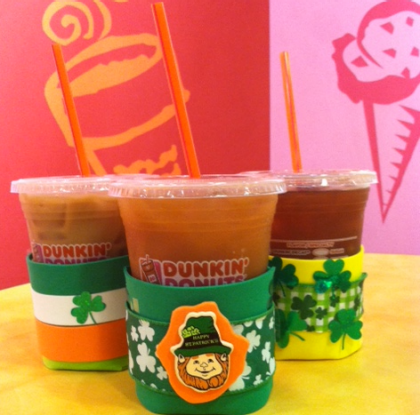 DD iced coffee looks its best for St. Patrick's Day! 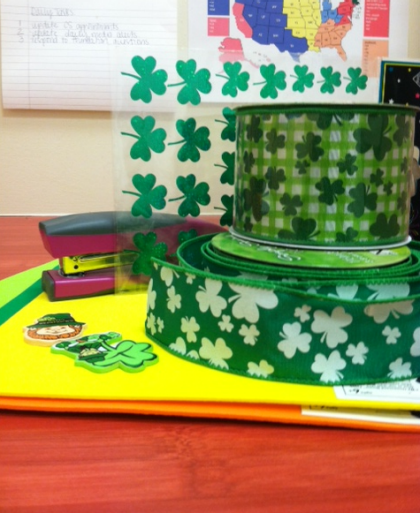 We also stocked up on fun Irish-themed decorations like shamrock stickers, colorful ribbon, and wooden leprechaun embellishments. 1. 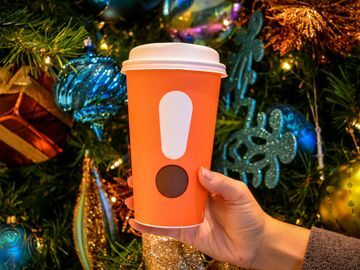 Trace a koozie pattern on the craft foam. 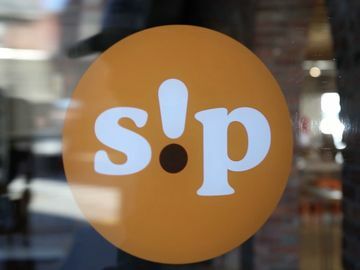 We used the bottom of a small DD iced coffee cup for the circular portion and a 4x6 index card for the rectangular pieces. 2. 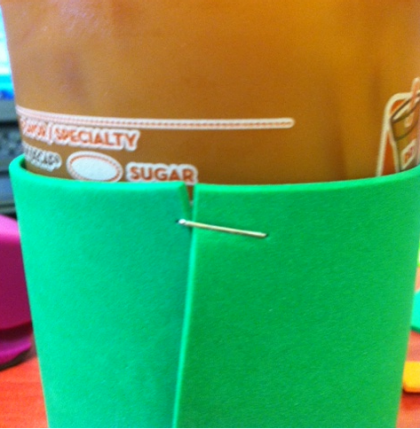 Placing the DD iced coffee cup in the middle of the foam circle, fasten the two rectangular pieces with one or two staples (we used a shamrock sticker to cover up the staple). 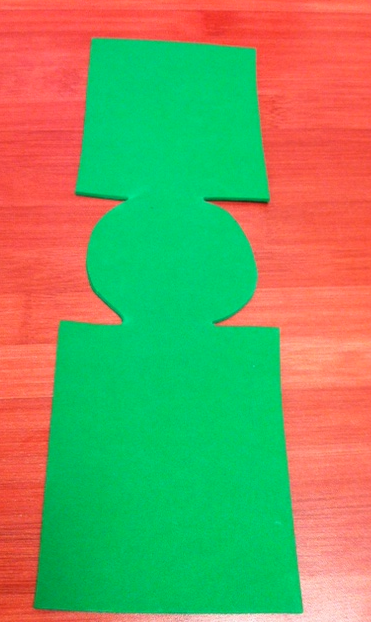 If you are an advanced crafter, stitch the two rectangular pieces together with a hole punch and ribbon. 3. Channel your inner leprechaun to dress up the koozie! 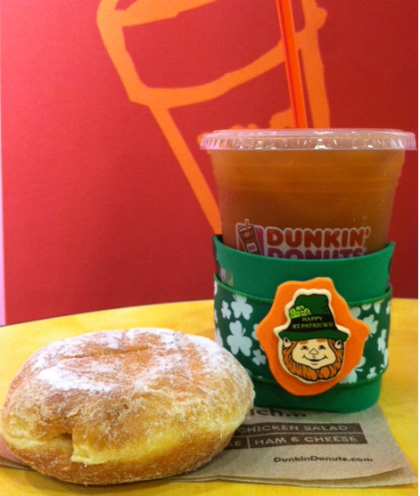 We think that a refreshing DD Iced Coffee and an Irish Creme Donut are the perfect St. Patrick’s Day pair. How did your koozie turn out? 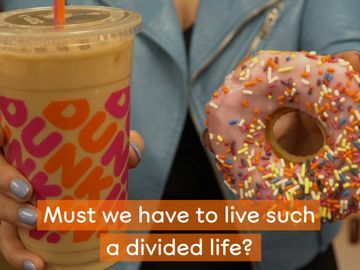 Share photos with us on Dunkin’ Donuts Facebook, Twitter, or Instagram!